We recently came across the so called ‘mini’ of the Lumia 1520, the Lumia 1520V which followed the Sony Z1 Compact‘s footsteps, a smaller footprint combined with high end specs. When Nokia announced its MWC event, rumors suggested of the Lumia 1520V to be one of the devices Nokia might announce and with MWC less than a month ago, the Nokia Lumia 1520V leaks have started coming. 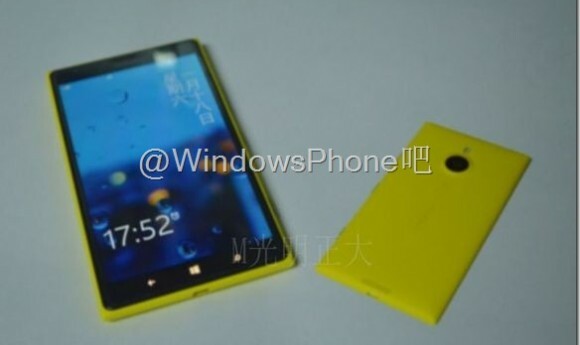 We have come across two new pictures supposedly of the Lumia 1520V from Mr. Blurrycam. In the first picture we see the Lumia 1520V’s back with the front of what is its bigger sibling, the Lumia 1520 and in the second picture, we see the device along with the iPhone for better understanding of its size. Coming to the rumored specs of the device, we reported earlier that it might come with a 4.3-inch 1080p unit but new rumors suggest a 4.45-inch display of (1280×768) resolution. The innards are said to be the same as the 1520 with the Snapdragon 800 and 2 GB RAM. The camera is said to be a 14 MP PureView unit on the device. There is said to be a 2,370 mAh battery in tow. 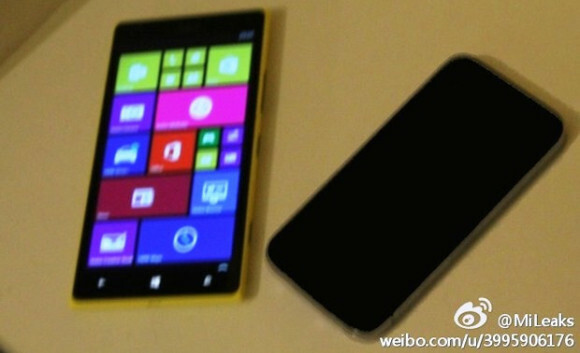 Rumors suggest that the device will come with Windows Phone 8.1. The report also suggests an April release for the Lumia 1520V but we could see an announcement at the MWC and if the device is truly real then i am pretty sure we’ll get to see the device at MWC.